The rush to get in on the cryptocurrency boom has spread around the globe, but nowhere more than in South Korea. That fact hasn’t slipped by the South Korean government’s attention. On Tuesday new regulatory measures, including a real name policy, were announced, and the government warned that it could move forward with a shutdown of cryptocurrency exchanges altogether. In its statement, the government said it “can’t leave the abnormal situation of speculation any longer” and said “cryptocurrency speculation has been irrationally overheated” in Korea. 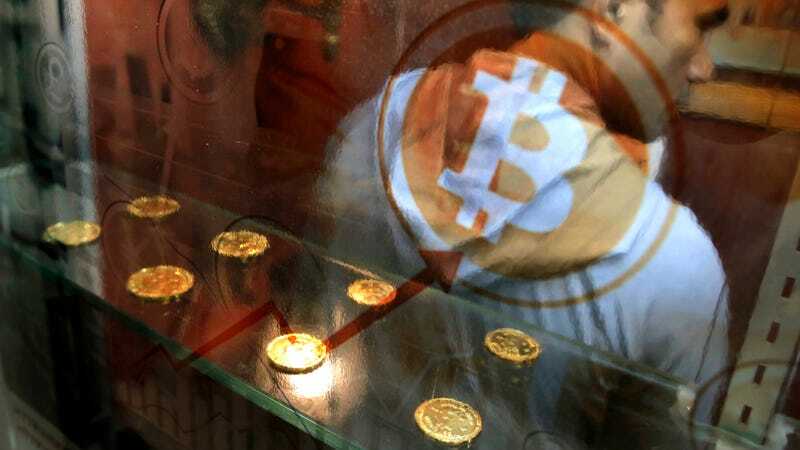 It said officials from the Justice Ministry could propose legislation that would shut down cryptocurrency exchanges nationwide, but didn’t elaborate on when this might happen. Earlier this month, South Korea also proposed levying capital-gain taxes for trades made on exchanges, a policy that would be easier to implement without anonymous trades on exchanges. S.G. Lee, chairman of the Korea Fintech Industry Association, told the New York Times on Thursday that he sees these moves as an effort to cool down the markets rather than an earnest desire to regulate cryptocurrencies. He said officials worry that regulations just give cryptocurrencies more legitimacy. It’s been a little over a week since bitcoin’s price hit a record high of $19,811. Since then, it slumped to $11,589 and has bounced around between those extremes for days. Overnight trades dropped below $14,000 on the heels of the news from South Korea, and cryptocurrency-related stocks also saw declines. The Long Island Iced Tea Corp—an iced tea company that changed its name to Long Blockchain and saw its stock price rise over 200 percent—saw its price dip by about six percent after the news from South Korea that had nothing to do with iced tea.